Approx 260 olive green coloured parts on 7 sprues, with 4 rubber tyres, 1 metal spring, 1 Turned Aluminium Barrel and Two PE frets make up the Gun & Carriage. 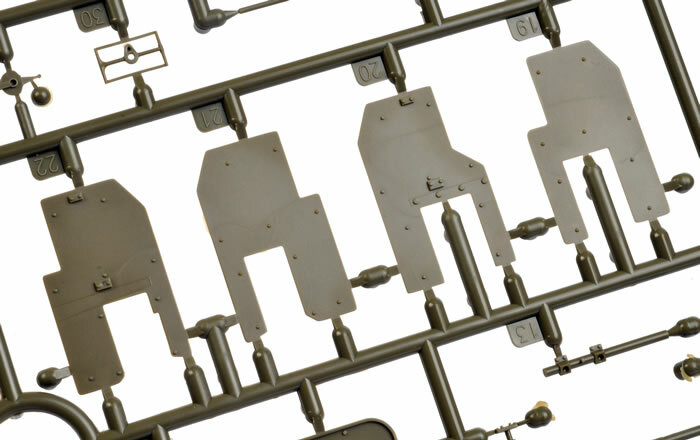 An additional A Sprue from the Ammunition Set is included with approx 40 parts. This is the fourth Bofors 40 mm Gun kit in 1/35th I have reviewed and the first from AFV Club. This kit represents the British Mk III gun with the early pattern riveted carriage and an amazing amount of detail has been packed into this kit. The Bofors (UK) Mk III (late) had the complicated looking but effective Stiffkey lead computing sight introduced in 1943 and was generally fitted with a Gun Shield to protect the crew. The British built a large number of Bofors 40mm before and during the war with many more being built in Canada and Australia to the British Pattern although those tend to be on the Mk 2 Welded Carriage. The Mk 1/111 served in defence of RAF Airfields, critical infrastructure and on the battlefield and large numbers were employed to combat the V1 Blitz in later in the war firing as batteries under radar control. 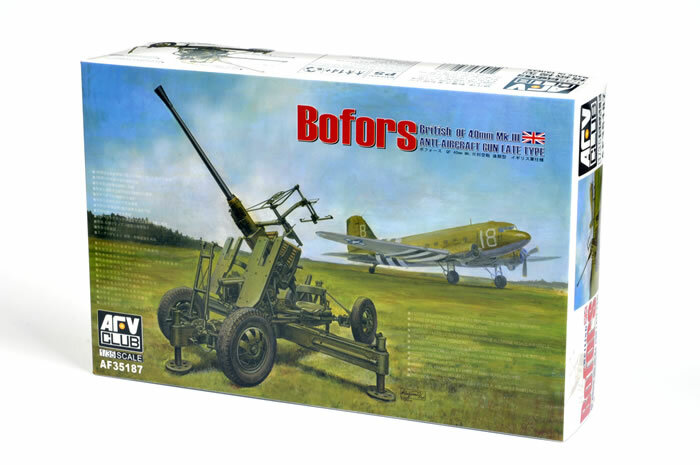 This kit offers two versions of the Mk III (Late) Bofors which are the Electrically Driven gun and the manually driven gun. Both have the Stiffkey sighting assembly. The carriage is the early Rivetted type generally indicating a reworked Mk 1 Gun. An earlier gun cannot be built from the kit as the simple sight apparatus is not included. 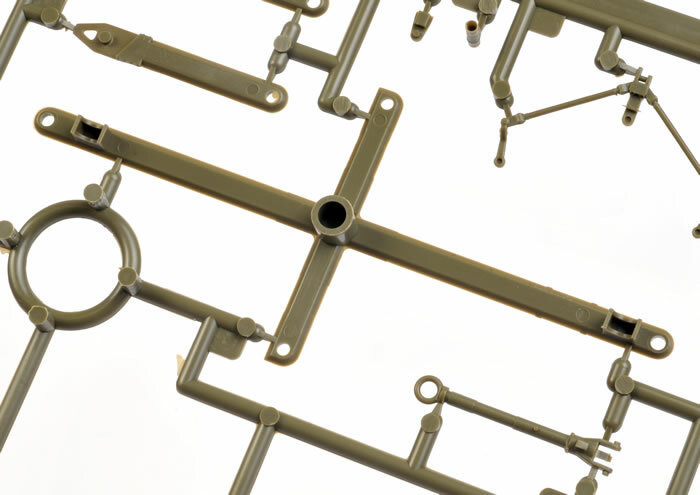 I would suspect other versions of Bofors will be released by AFV Club going by the Sprue Designation letters with sprue E & F not included. 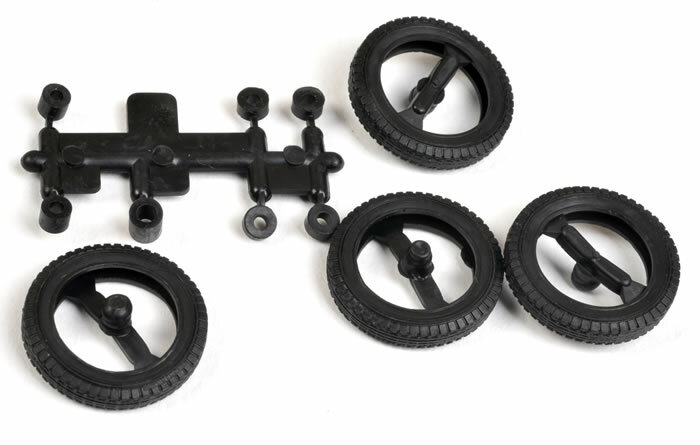 I was hoping for a simpler construction than the Bronco kit but on opening the box and reading the instructions I realised that this will be an involved build but thankfully it does not look too fiddly with a minimum of miniscule parts and sensible construction sequence. 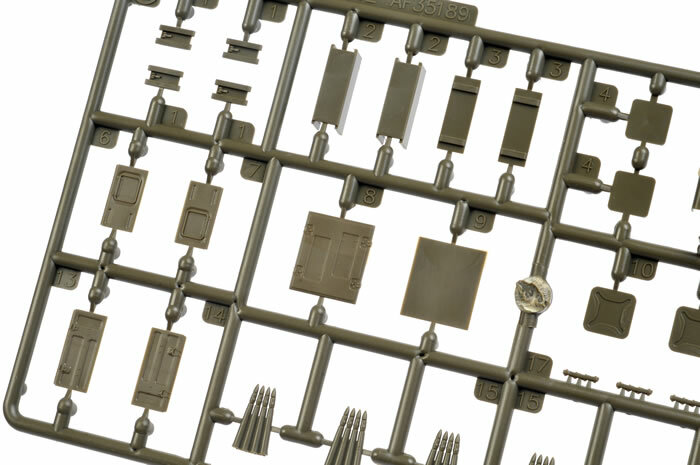 There are 7 main sprues making up the Gun and Carriage and another from the companion 40mm ammunition set (AF 35189)giving four styles of ammunition crates (two wood, 1 Stamped steel and one sealed aluminium type) and 6 4 rd clips of ammunition. 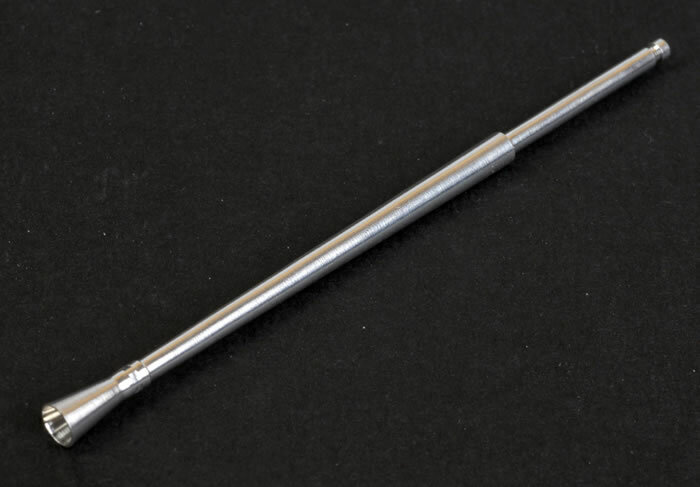 Additionally four vinyl tyres are included along with an aluminium gun barrel with metal recoil spring and two PE Frets. Detail on the mouldings is outstanding and exceptionally well done in typical AFV Club olive green styrene. These parts combine to produce a stunning QQF Bofors Mk III on a riveted Mk 1 Carriage with early narrow wheels plus 1 Spare Barrel, it’s transit case, 7 Ammo boxes of 4 types, and six 4 round clips. As is normal with AFV Club Artillery kits no crew is provided. The Instructions are printed in B&W in an A5 booklet in the typical AFV Club fashion. Detail photos of the real thing are included howeve thewy are rather small though still useful. Ensure you read these carefully as PE needs to be added in some steps and this is finely detailed and in the case of the Azimuth indicator on the trail is readable. The Manufacturers plates also appear to be legible despite their diminutive size! 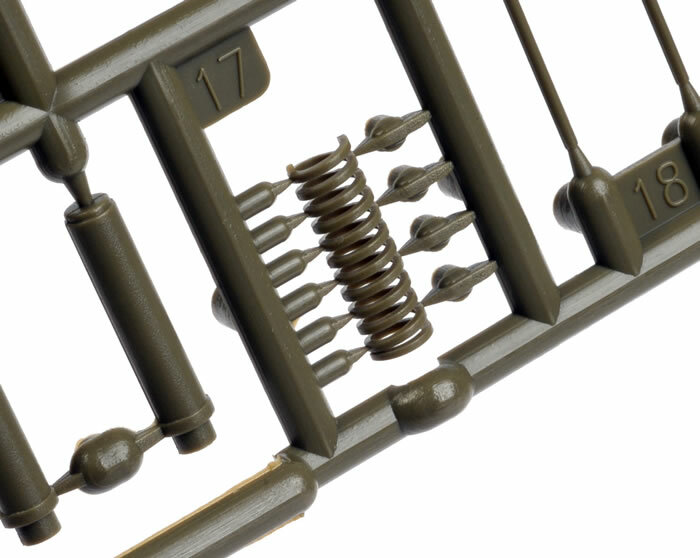 The complicated PE shaped Ammunition Ready Rack needs to be bent but AFV Club offer a Jig for this fortunately. The kit can be built as an electrically or as a manually laid gun but this is where the options end. 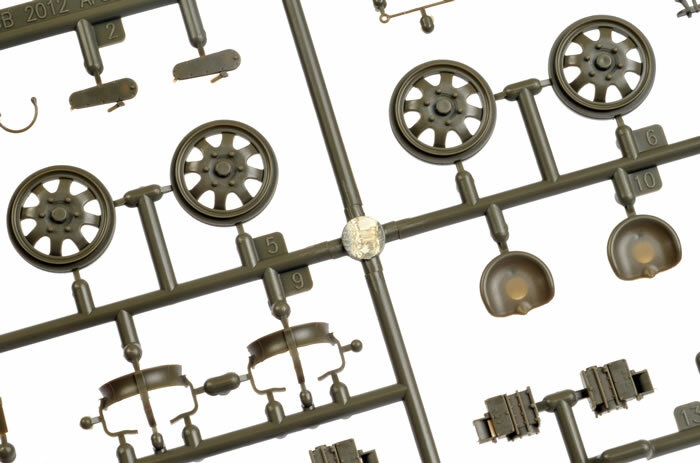 This is a another welcome addition to the 35th family of Bofors 40mm kits and offers the early British Mk III on the early war carriage which gives the modeller scope to model a gun in use between 1943 and 1945. 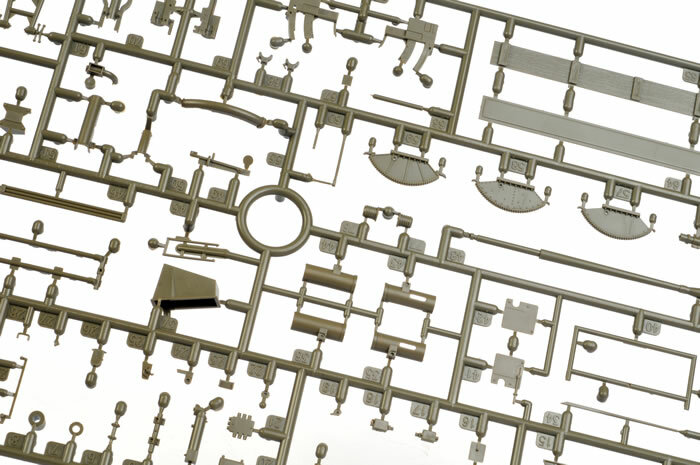 The kit is highly detailed and contains numerous small and fragile parts including some PE parts which limits this kit to the more experienced modeller. It will produce a stunning replica of the real thing and can be modelled deployed for action or in its transport configuration. Ammunition and both US and British crates including the spare barrel crate are included giving scope for display. A set of decals for the ammunition crate stencilling is included but no battery or regimental markings are provided for the Gun. 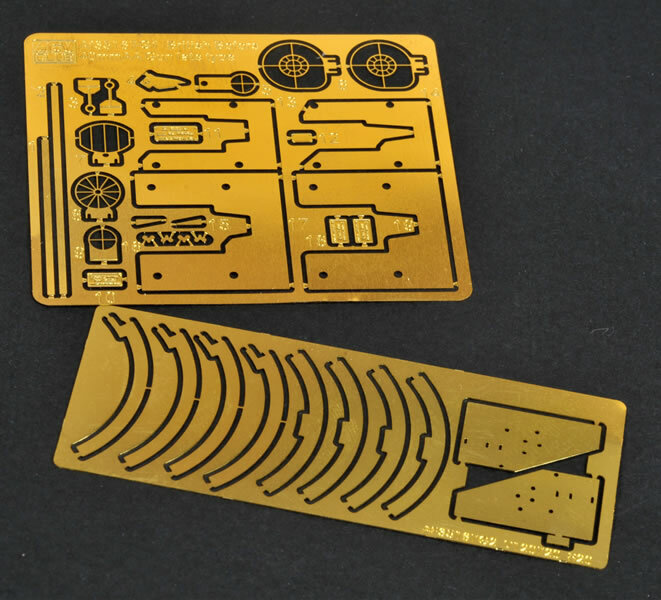 This kit is quite buildable but will require careful and diligent construction but the result will be an excellent and highly detailed kit.